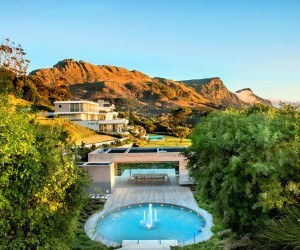 Over the past decade Cape Town has accumulated a commanding list of international accolades as a top tourist destination, but the Mother City has another exclusive feather in its cap as one of the top 50 international housing markets favoured by ultra-high net worth (UHNW) individuals purchasing luxury real estate. Wealth-X, in collaboration with Barnes International Realty and Warburg Realty, recently released the “Global Property Handbook” which explores the real estate investment habits of the world’s super-wealthy and includes the first ever “Alpha Cities Index” that ranks the Mother City 37th alongside Norway’s capital Oslo, Basel in Switzerland and the Russian capital, Moscow. It is the highest ranking African city, followed by Johannesburg at 46. 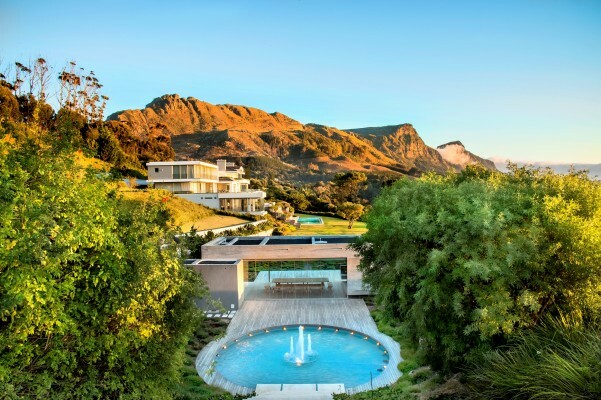 Lew Geffen Sotheby’s International Realty in South Africa specialises in the luxury residential market. Its Chairman Lew Geffen says: “According to the report, global UHNW investors base decisions about where to buy property on a combination of practical, emotional and financial reasons and the most desirable locations are those that tick the highest number of boxes in all three criteria. “In Cape Town, foreign interest is driven by numerous factors, including the weak Rand that affords offshore buyers excellent value compared to most European destinations and similarly cosmopolitan Southern Hemisphere cities like Sydney in Australia where comparable properties are ten times the price. Geffen adds that the Mother City measured up well to the most influential of the criteria – the emotional factors – that range from the exclusivity of the area and positioning of the home to the desirability of the immediate surroundings and proximity to top class restaurants, bars, cafes and retail experiences. International buyer interest in Cape Town real estate isn’t surprising, says Geffen, if one compares the value to a similar destination in the Alpha Cities Index. “São Paulo in Brazil comes in five places below Cape Town at Number 42 on the list. Brazil is also a developing nation, it is long-haul and is located in the Southern Hemisphere, so it’s attractive to ‘swallows’ who want to follow the sun. But when it comes to bang for buck, Cape Town leaves São Paulo in the proverbial dust. In contrast Johannesburg’s placement on the Alpha Cities Index is driven by more practical reasons than Cape Town’s attractions, which is reflected in its ranking nine places lower than the Mother City, according to Geffen. “Most international investors buy in Johannesburg because it’s still the financial powerhouse of South Africa and if they’re going to be seconded there for an extended period or they frequently conduct business in the city, then purchasing property makes sense. Geffen concludes: “The fact that Cape Town has been listed as one of the top cities worldwide on the Global Cities of the Future winners 2016/17 for foreign direct investment (FDI) strategy will further boost foreign investor confidence, especially in the face of the current political turmoil in much of the northern hemisphere, and global economic uncertainty. According to fDi Intelligence, a division of the Financial Times, Cape Town has also been ranked 21st for its FDI strategy and is the only African city listed in this category by fDi Intelligence. Other cities noted include Edinburgh, Hong Kong and Chicago.